Frontiers in Physiology, 5:24 (2014). 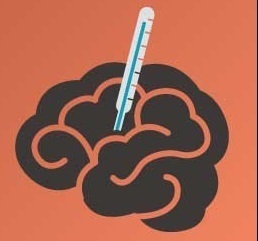 Temperature has profound effects on a wide range of parameters of neural activity at various scales . At the cell level, ionic currents, membrane potential, input resistance, action potential amplitude, duration and propagation, and synaptic transmission have all been shown to be affected by temperature variations [1-5]. At mesoscopic scales of neural activity, temperature changes can steer network activity toward different functional regimes , affecting the duration, frequency and firing rate of activated states during slow frequency oscillations, and the ability to end these states . Temperature also has a substantial effect on chemical reaction rates , and affects the blood oxygen saturation level by changing haemoglobin affinity for oxygen . Furthermore, cooling reduces metabolic processes , and has been used to silence cortical areas to study their function .